There are many married couples who have a huge age difference in between them. For example, husband is 50 years old while his wife is just 30 years old! There are some Bollywood celebrity couples with huge age differences in between. So lets see that who are these couples and what’s the age difference between them. This beautiful and lovely couple of Bollywood has a huge age difference in between them. 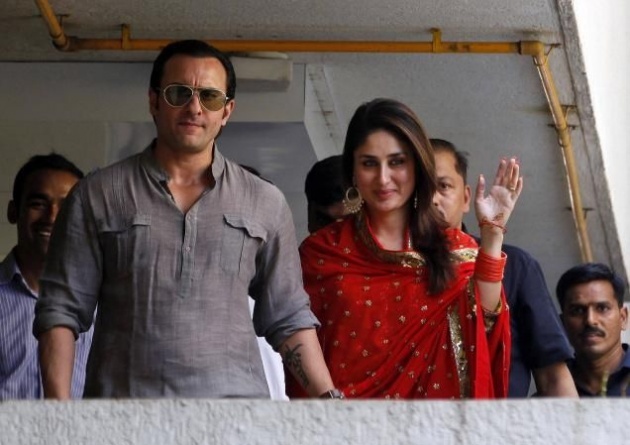 Saif Ali Khan is eleven years older than Kareena but nothing stopped Kareena from falling in Saif’s love and this couple tied knot. The great legend Dilip Kumar is very much older than his wife. At the time of marriage, Dilip Kumar was 44 years old and Saira Bano was just 22. Many people said that this couple would not last longer but we see that this couple is spending a happy married life since 1966. The Bollywood Mr.Perfectionist Aamir Khan is 9 years older than his wife. Even with an age gap of 9 years, this couple has the perfect chemistry and love for each other. Ajay Devgan is six years older than Kajol but this couple has a great love for each other. Both Ajay and Kajol are dealing with their relationship in a perfect way and its the Bollywood most cherished couple. The Bollywood most cherished and loving couple has a 13 years age difference between them. Dharmendra converted to Islam to marry Hema Malini and this couple is still a great example for the new love couples. Sridevi dated Boney Kapoor who was 8 years older than her. Boney Kapoor was also married before but he gave divorce to his first wife and married Sridevi. Boney Kapoor have two children from his previous wife and two daughters from Sridevi. Twin Khanna is 6 years younger than Akshay. This couple is leading a happy married life and have one son. After marrying with Twinkle Khanna, Akshay Kumar’s luck changed and within no time he got very successful and famous. Arjun Rampol tied the knot with former super model Mehr Jessia. Mehr is two years older than Arjun. This couple is blessed with two daughters and amazing thing is that Arjun Rampal is still mad in love of his wife. Aishwarya Rai is two years older than Abhishek Bachchan. The age difference between this couple is not that much. Abhishek and Aishwarya have one beautiful daughter Aaradhya Bachchan. There is no doubt that this couple is the Bollywood’s most stunning and lovely couple. So these were the Bollywood celebrity couples with huge age differences. Do you think that age matters in relationships?